The XCOM (or X-Com, if you prefer) series has gone through significant changes. Like the Alien(s) movies, it transforms genres practically every time it goes around. Strangely, the much-delayed-and-maybe-possibly-doomed upcoming shooter edition may have more in common with the series’ roots than you think. Which is probably at least three more titles than most of you have heard of, and doesn’t count the two games currently in development. 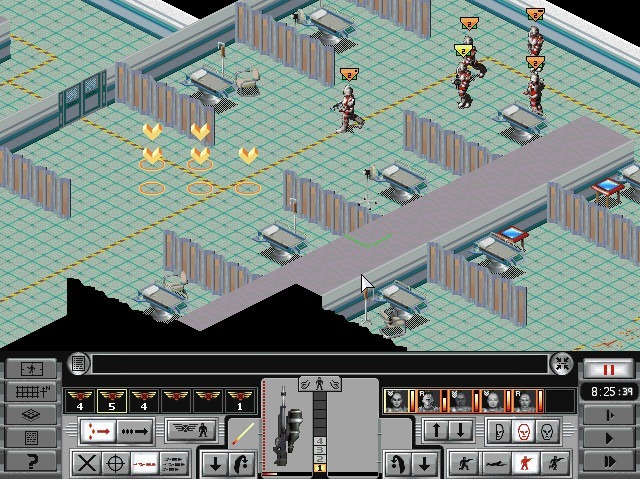 UFO: Enemy Unknown (released under a couple of different names, including the X-Com name for some later ports) was the classic turn-based tactical, semi-real-time strategy game that most people think of when they think of X-Com. “The Classic,” you might say. 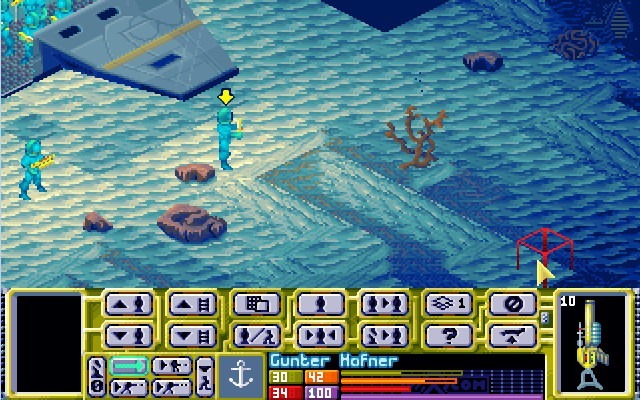 Its sequel, Terror from the Deep was identical in genre terms, being (for all practical terms) just a stand-alone expansion pack to the original game, and pretty much all takes place underwater. X-Com Apocalypse (my favourite, I must say) was where it got interesting. Rather than spanning the world, the gameplay takes place in the last city on Earth (Mega-Primus) – most of it having been rendered uninhabitable by the attacks from all of those aliens, don’t you know. Man has used captured technology to take him to the stars, and the last city is still premium real-estate for the remnants of humanity. And then – go figure! – dimension-hopping aliens show up and try to steal the Earth for their own inscrutable purposes. Two things specifically marked this evolution of the series as special. The first was the tactical battle-system. 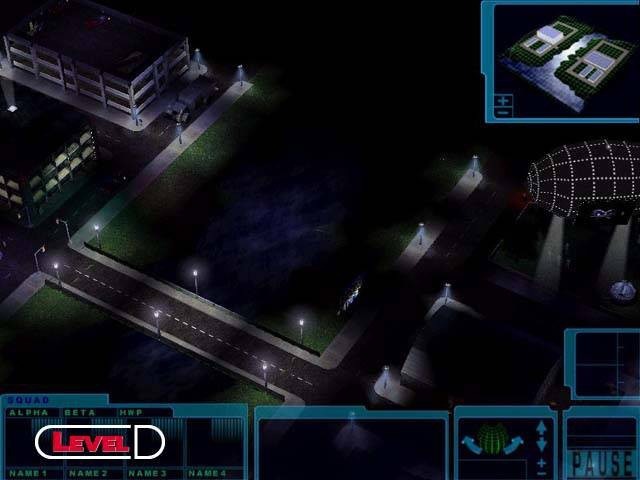 While it could be played in exactly the same way as previous turn-based X-Com games, you also had the option for pausable real-time, where you could have as much control over your X-Com troops as you liked, or you could adjust the settings and significantly reduce micromanagement. The soldiers – if set appropriately – were smart enough to take cover on their own, and fire their weapons at appropriate targets, each according to their collective attributes. Of course, if you preferred, you could take all those decisions away from them and play it in the style of the previous two games. The second feature was the enemy AI. The enemy AI was actually pretty smart. Not strong-player smart, but adaptive smart. It tried things, discarded tactics which failed, and repeated tactics which succeeded. The enemy AI found the weaknesses in your tactics and exploited the hell out of them, when it could. It wasn’t just about the aliens bringing progressively larger numbers, tougher opponents and improved technology into the field, though that remained a strong element (as with the two previous editions). It was also about the AI adapting to your own tactics and getting smarter about its choices. 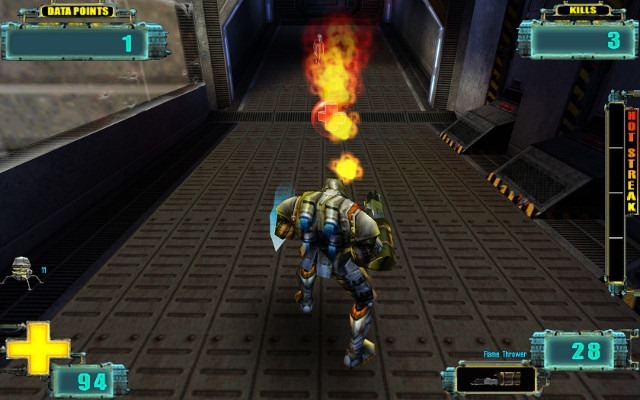 The idea was also that you could swap the AI files with other players, and thus be able to experience different alien tactics, and that the AI data would carry over between games, making successive games more challenging. For whatever reason, this feature got partially cut just before the game was sent off for production – and AI data was reset between games. Also cut (somewhat earlier in development) was a hot-seat feature allowing the aliens to be played by a ruthless friend, in turn-based mode. 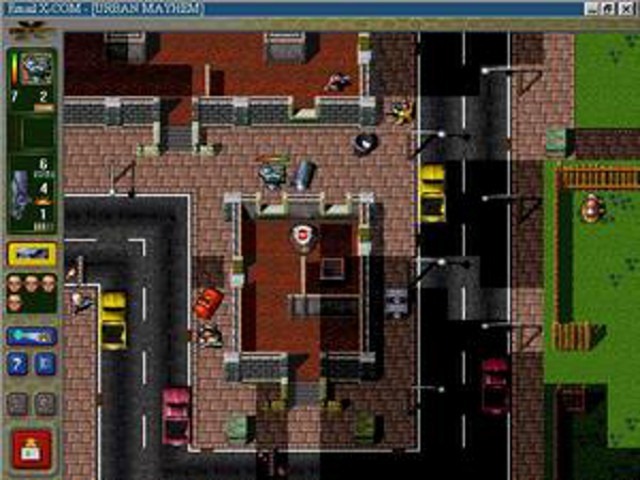 Nevertheless, adding the option to tackle tactical combat in pausable real-time, and focusing on a single city and its political factions represented a significant genre-change. Next in the list was X-Com: Interceptor, the lacklustre space-combat game. The strategy side took place in space, but was otherwise relatively familiar. Tactical missions, however, involved seat-of-your-pants first-person space-combat with your wingmen. This part of the game was not particularly well-received. As far as the X-Com canon timeline goes, Interceptor takes place during the construction of Mega-Primus and the mysterious loss of the GSC Patton (more on which in a minute). Sandwiched in here was X-Com: First Alien Invasion, which expanded a little on the idea of Apocalypse’s abortive hot-seat tactical gameplay by producing a two-player, play-by-email game that sported 50 rather blandish tactical maps, and simplified equipment and combat mechanics. You’ve probably never even heard of it. It didn’t last very long before Hasbro Interactive started getting shut down, along with the special email servers used to play the game. 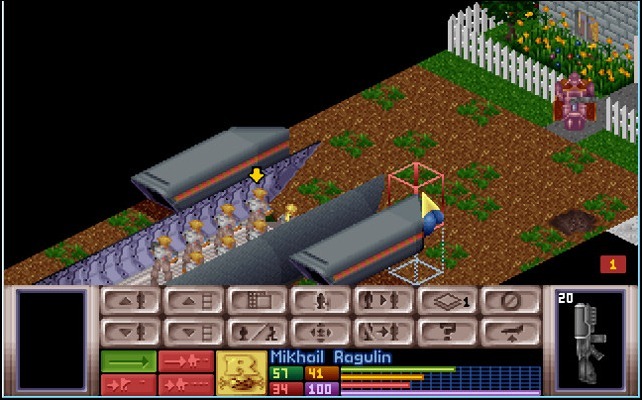 The next incarnation in the series was the ill-fated X-Com: Genesis. An uncompleted overhead, 3D real-time strategy game. In development for just about a year, the studio and all of its projects were abruptly closed. 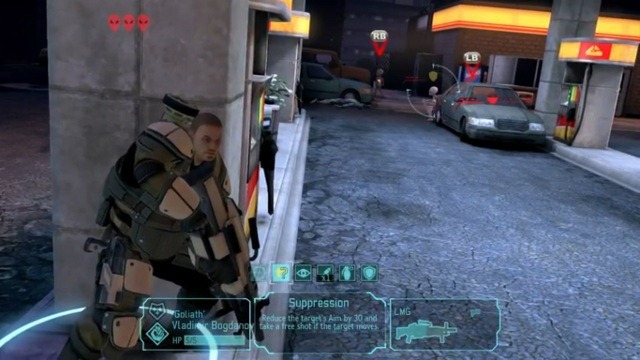 Next, we had X-Com: Enforcer – a straight-up, unabashed, and completely forgettable on-rails, third-person 3D shooter in the style of Quake and Doom. Reception for the game was poor. It was just an average, not terribly smart, shooter with X-Com theming. 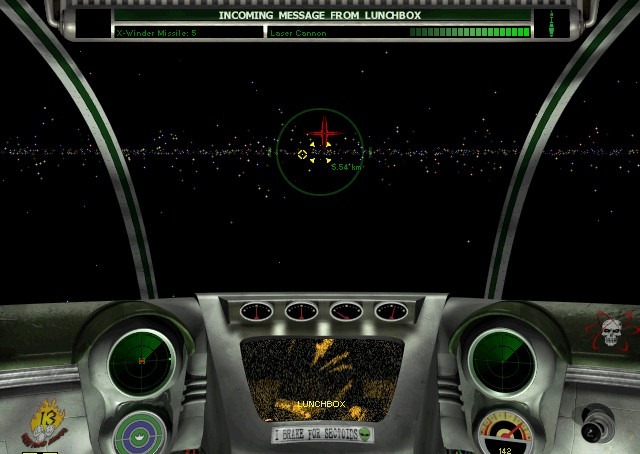 The next game in the series focused on the loss of the GSC Patton, unexpectedly transported across 60 light-years to a distant part of space. There, familiar foes are at war with another race, the Ascidians. The crew of the Patton ally with the Ascidians, against their common foe. 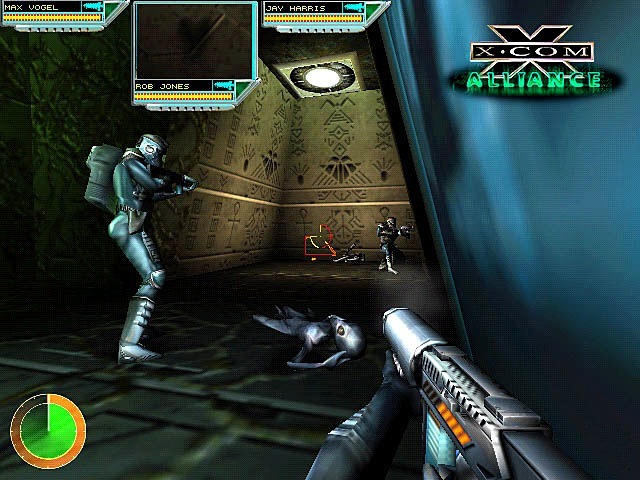 X-Com: Alliance was (much like the upcoming XCOM game) a first-person, squad-based shooter, backed by strategic gameplay. Its development raced ahead of studio closures, jumping between three studios before being passed to Infogrames when they acquired Hasbro Interactive. Whatever happened during and after the acquisition, key personnel from the Alliance team were lost, and the game was quietly cancelled sometime in 2002. Alliance, despite being so far from its turn-based roots and only 60-70% completed, was highly praised by every reviewer who got to go hands-on with it. Mythos itself started “rebooting” the X-Com Series in 2000 under a new name, “The Dreamland Chronicles.” The ill-fated first game of the series, “Freedom Ridge” was put on hold, then picked up by Bethesda Softworks, then funding got cut again, and after an acquisition by Titus Interactive, Mythos went out of business. 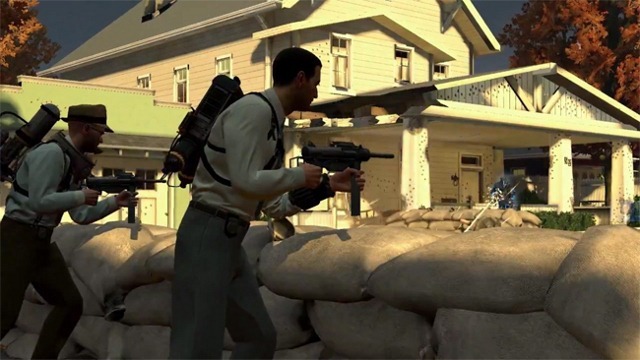 All the saleable parts of the game were sold to Altar Interactive, who found little enough left that they could use, and spawned the UFO series (Aftermath, Aftershock and Afterlight). And that brings us to where we are. 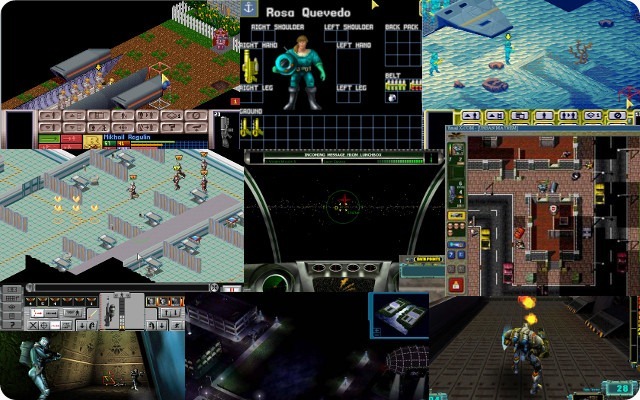 Those years were not good to X-Com development (or many other games, whose corpses littered the digital trashcans of various game-development studios – those that survived). Nevertheless, what I’m driving at here is that X-Com, as a series, isn’t just a monolithic turn-based tactical/strategy game. It isn’t actually one specific genre at all, and your own preference may vary – I’ve always preferred Apocalypse to Enemy Unknown, for example. While the new XCOM shooter under development by Take Two Interactive might be doomed… if it isn’t, it is perhaps, conceptually closest to the series’ most highly acclaimed (albeit unreleased) game. On that basis alone, I’m willing to give it a chance, so long as it isn’t, you know, too much like Mass Effect in terms of gameplay genre. That there is a genre that I’m largely done with. Likewise, I’m interested in the Firaxis reworking of Enemy Unknown, but I largely think it will probably be too much like the first and second X-Com and not enough like the third to really grab me. We shall see. Now, if you wanted to mix Rainbow Six 3 with X-Com, now there you would absolutely have my attention. It’s possible that it was playing too effective a game by that stage. It’s certainly a plausible scenario.